Is ELIZA human, and can she write a sonnet? A look at language technology. Jane Abrams writes about language and technology in ACCESS, the professional journal of the Australian School Library Association. Questions of how, when and why to introduce coding and digital technology in schools have become part of a national conversation on how best to equip young people for their futures. With the Australian Curriculum now introducing Digital Technologies from the very first year of school, more Australian students will be required to have some programming experience at school. While the prospect of more STEM may not be appealing to all students and teachers, there are multiple avenues through which to explore digital technologies. 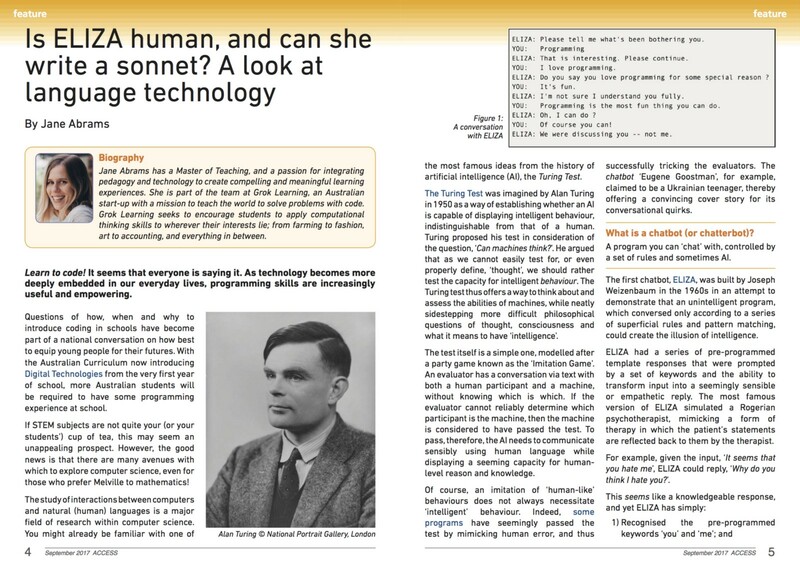 This article looks at the history of the study of interactions between computers and natural (human) languages, from the original Turing Test through to the many applications of language technologies in use today. Language-themed programming activities… naturally link to the arts and humanities, revealing the broader social context of technology. This approach can be less daunting for students who don’t see mathematics as a strength. 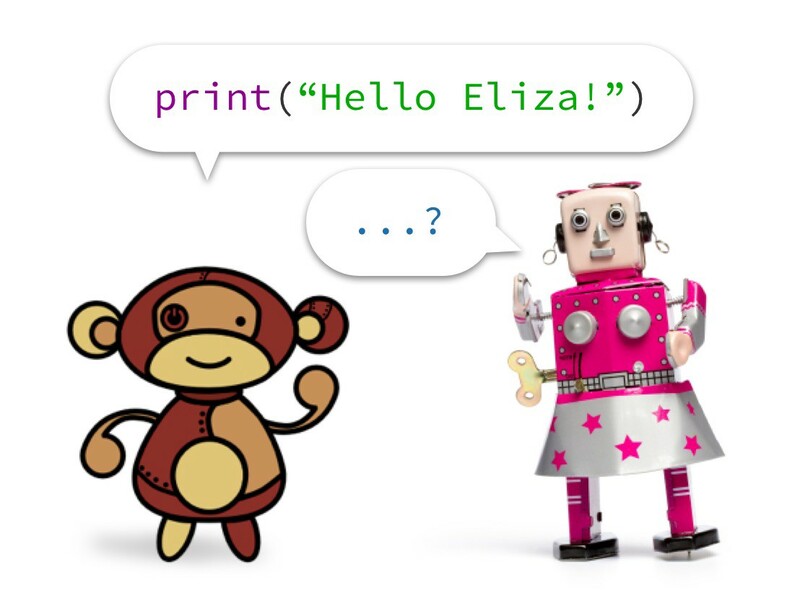 Also included is a chatbot lesson plan, in which students explore the history of chatbots, consider some of the challenges involved in helping computers to understand human languages, and program their very own chatbot! For the full article, see ACCESS, Volume 31, Issue 3, September 2017 or download a PDF version. If you enjoyed this article, please clap for it, and check out our website for more learn-to-code resources!